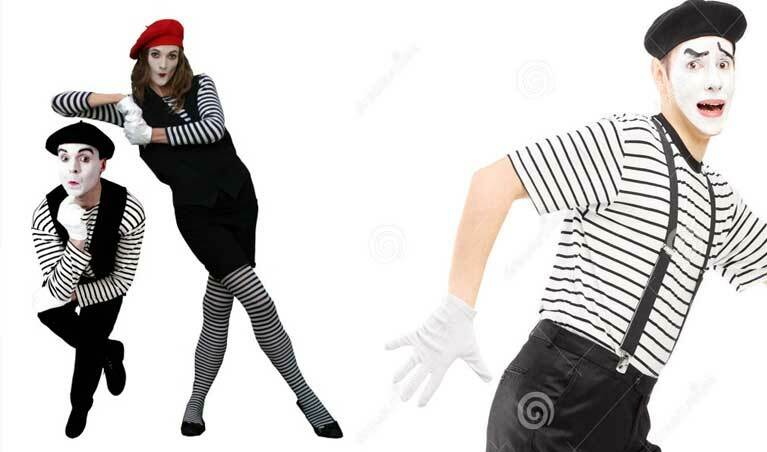 Mime artists are those artists who act by doing the theatrical techniques. It is acting by using theatrical actions and emotions. It is an act which is done without speaking or uttering dialogues. Acting and showing skills of emotions by the way of actions. This has become a very popular and in demand set of artists in the big Indian events, big corporate events, and destination weddings especially those big fat Indian weddings. People splurge so much of money on such activities just to create and weave magic for the guests and to entertain them. And to solve all your problems, we Artist on Demand are here to provide every single thing you require for your big day. We not only provide live bands or musicians, just like we set the themed wedding or the destination weddings, we also cater to all your needs as per your budget. We excel in proving mime artists all over. We have an endless list of services in our hand with every single detailed description. Your say and we provide and will create magic in the air just for you and your guests .
. Mime artists are booked by us from different parts of the country. This is a very unique and a different idea that people are looking forward for. Everyone wants a special wedding or an event to make it memorable and we at Artist on Demand follow your instructions and provide what you want.
. We believe in making clients as our friends so that it can be a bond for ever. We are proud to be specializing in these events that you like. We have forged links with high profile artists and band who are exclusively the mime artists. Our company has a proven track record of excellence in providing the best to our clients and making their day a memorable one. If you are looking for that extra special thing just to add fun and excitement to your function, you’re just a call away. Add fun and zeal to your occasion by hiring us.